We don't celebrate it here, nor did we in Andorra. What really surprised me was that it wasn't celebrated in Ireland either! At least not when we lived there (1997). When we lived in Minnesota, there was always a big celebration in St. Paul (twin city to Minneapolis) but, in retrospect, I don't really know if it was to honor the saint or an excuse to party with the first signs of spring. I know that I have consumed my share of green beer! It's very appropriate that this Weekend Herb Blogging is being hosted by Becky, of Key Lime and Coconut as she lives in Boston, the very best city to be in for St. Paddy's Day. In honor of the green I'm featuring Emerald Soup. It's vibrant color comes from lots and lots of spinach. Since I recently posted about the health benefits of spinach, I thought I would take a different track this time. Researchers at MIT have figured out how to incorporate a plants ability to make energy into solid-state electronics. We could be using laptops powered by spinach sometime in the future. Wouldn't Popeye be proud? In the meantime, keep eating it for healthy eyes. Back in the beginning of time, when we first started to travel, I wanted to collect something in remembrance of the places we were visiting. I didn't want a charm bracelet and am morally opposed to collectible spoons, thimbles, pens with naked people, and T-shirts that wear out in one washing. I decided on food….recipes and/or cookbooks. It's amazing what one can get just by asking. This was our first trip to London, and out of U.S. We had asked a taxi driver for a fun place to go near our hotel and he recommended Tiddy Dols. I have no idea if it's still open, but is was a fascinating combination of a bit of theatre and solid English cooking lightened with a French touch. And the best spinach soup I ever had. I asked our waiter if I could possibly get the recipe. He went to the kitchen, came back and said 'the chef wants to know if you can cook'. When I assured him I could he handed me a scrap of paper. This version is what I came up with. It will serve 4 as a starter or two with some Irish Soda Bread for a main course. Roughly chop onion, celery and thinly slice leeks. Melt butter in medium saucepan over medium heat. Add onions, celery, leeks and sauté until softened. Roughly chop potato (peeling optional) and add to pan along with 3 cups chicken stock. Bring to a boil, reduce heat and simmer until potatoes are done, about 15 minutes. Pick through spinach, removing any bad leaves and thick stems. Add to soup when potatoes are done. You will probably have what seems like a huge amount of spinach but it will all fit – just add handfuls of leaves, stir into soup; when they are wilted, add more. When all of the spinach is in the pan and wilted, purée the soup, either in a blender or with an immersion blender. It should be a lovely bright green – thus the name… Add more chicken stock if desired. Keep warm until ready to serve. Serve with a dollop of creme fraiche in the center (you can draw a knife through to make patterns…). And maybe a wee bit of Irish Brown Bread (Recipe from Ireland). 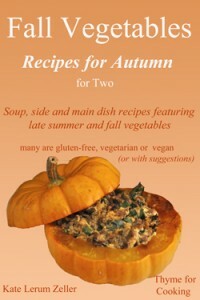 Be sure to stop by Key Lime and Coconut on Monday to get all of the wonderful recipes from this Weekend Herb Blogging. Incredible soup, Katie. What color. Looks pretty easy to make, too. A perfect post for St. Patirck’s Day! Amazing colour, and a must for my spinach addict family. Love the emerald-green soup. Love it, love it, love it. Must make it. Think I’ll make it and take it to work for lunch; my coworkers are always saying, that looks good — what IS that? I could really blow them away with this one! This is beautiful katie. A beautiful green color too! I sometimes forget how much I like spinach. Thanks for reminding me. I don’t know which I like the most. The soup looks fantastic and I love spinach. But the recipe and the story are priceless and awesome! Looks great and healthy too. Hum, I have 2 more leeks in the frig…I might even have spinach too and creme fraiche! This looks like a great alternative to the traditional corned beef and cabbage, and so pretty. Maybe I’ll try this with my Irish grilled Cheese sandwich. Thank you for your post, St. Patrick’s day for me is a big party with my friends, drinking a lot of irish beer and singing Irish songs out loud. 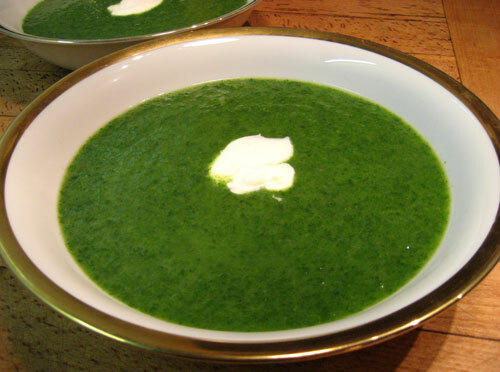 That emerald soup looks delicious its is very good on my diet.thanks. 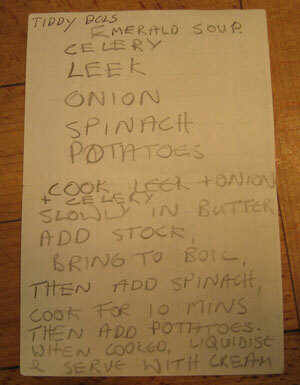 Seems like a good alternative to the traditional corned beef and cabbage, and sufficiently. Maybe I will try my toasted cheese sandwich Irish.